The wait-and-see approach is fine for some kids’ health problems. But not these. When you become a parent, you earn a medical merit badge of sorts. Whether you’re sopping up a goopy nose or extracting a dangling-by-a-thread baby tooth, eventually few things faze you. But sometimes it’s tough to tell what warrants a call to your doctor’s office: Which temperature actually classifies as a “high fever”? 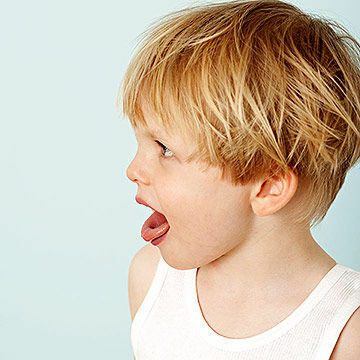 What kind of tummy ache means your child has more than your average stomach bug? And when something truly frightening happens — say, your child suddenly breaks out in hives — should you call your pediatrician or head straight to the E.R.? “Parents should always err on the side of caution and seek immediate medical care when they’re worried about something,” says Anita Chandra-Puri, M.D., a pediatrician at Northwestern Memorial Physicians Group, in Chicago, and a spokesperson for the American Academy of Pediatrics. 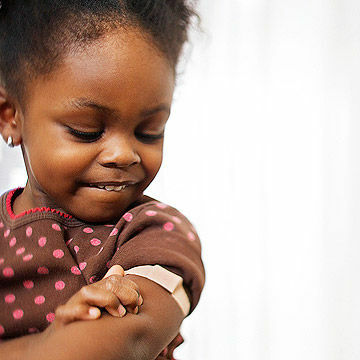 However, to give you more specific guidelines to follow, we talked to top pediatricians about the 12 symptoms that always require medical attention. 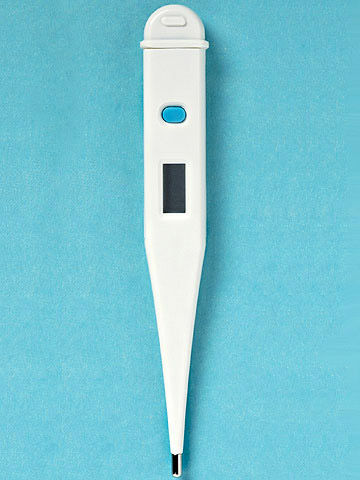 Pediatricians stress that when fever strikes, the number on the thermometer isn’t as important as your child’s disposition. The one big exception: infants under 3 months old, who need immediate medical care if fever rises to 100.4F. “If their fever is caused by a bacterial infection like a urinary-tract infection, it could quickly spread through the body,” says pediatrician and Parentsadvisor Jennifer Shu, M.D., coauthor of Heading Home With Your Newborn: From Birth to Reality. “It’s usually just a common virus causing the symptoms, but we have to check it out to be sure.” It’s important to call your doctor right away; if it’s after office hours, be on the safe side and head straight to the E.R. In kids older than 2, fevers aren’t urgent as long as your child appears to be well hydrated and acting normal. Call your pediatrician for guidance. If you’ve given your child a fever reducer like acetaminophen or ibuprofen and the number on the thermometer doesn’t budge within four to six hours, call your pediatrician. This is a sign that the infection may be too strong for the body to fight off, and your doctor may want to do a thorough examination to determine the cause. A fever caused by a common virus like cold or flu typically goes away within five days. One that hangs on longer — even when it’s low-grade (100.4?F) — may be caused by an infection like bacterial pneumonia, which requires antibiotic treatment, explains Alanna Levine, M.D., a pediatrician at Orangetown Pediatrics, in Tappan, New York. Call your doctor — these can be signs of meningitis and need immediate attention. A ring-shaped rash with a pale spot in the center can signify Lyme disease. Get help right away if you see pinpoint-size spots under the skin, which can signal many serious conditions. Any inexplicable, widespread bruising may be a sign of a possible blood disorder. In addition, a splotchy rash, often a little raised, may be a sign of an allergic reaction. 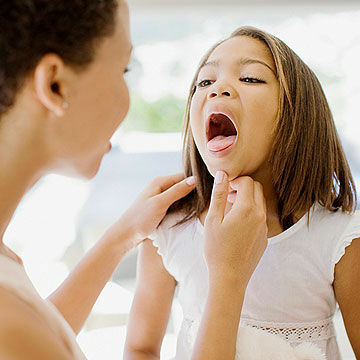 If your child also has difficulty breathing or is agitated or lethargic, she should be checked immediately by a doctor. Keep tabs on your child’s moles, especially any that she’s had since birth, because those have a higher risk of becoming malignant, says Parents advisor Ari Brown, M.D., a pediatrician in Austin and author of Baby 411. Do a monthly skin check during bathtime. Alert your doctor if you notice a mole that’s irregularly shaped, has ragged borders, is not all one color, or is raised. All of these are signs of a potential skin cancer. If your child has pain on the lower right side, ask him to jump up and down — if it’s excruciating for him to do so, it can be a sign of appendicitis. Although the appendix is on the lower right side of the abdomen, the pain caused by appendicitis can start around the belly button and migrate to the right. “With a normal stomach virus, there’s typically fever, then vomiting, then stomachache and diarrhea,” says Dr. Brown. “With appendicitis, it’s sometimes diarrhea, then abdominal pain, then vomiting, then pain, then fever.” If you notice these symptoms, call your doctor — appendicitis progresses quickly and it’s most effectively treated when caught early. These could be signs of a migraine. Your doctor can determine the appropriate treatment. 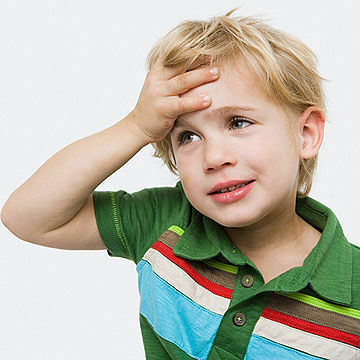 Migraines in kids are not dangerous, and tend to run in families. However, morning and middle-of-the-night headaches can also be a signal of something more serious, and that’s why you want to see a doctor right away. These signs are all associated with dehydration and need to be treated fast because dehydration can lead to shock. Call 911 or get to the hospital if you think your child is nearing this stage. Otherwise, call your doc and try to get more fluid into your child. “Breathing problems are more worrisome when the sounds come from the chest and lungs, not the nose,” says Dr. Shu. Critical breathing issues are often due to choking, an allergic reaction, an asthma attack (which can occur in kids as young as a few months old), pneumonia, whooping cough, or croup. Seek help right away or call 911. If it’s not obvious that your child is having serious trouble, check his respiratory rate. Count each breath taken in for 30 seconds and then multiply by two. A normal rate is less than 60 for newborns; less than 40 for babies under 1 year; less than 30 for 1- to 3-year-olds; and less than 24 for 4- to 10-year-olds. 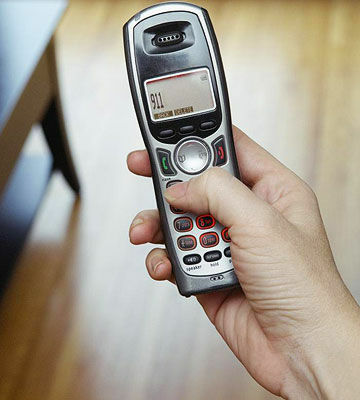 These often signal a serious allergic reaction (anaphylaxis). Symptoms may include swelling, breathing problems, and severe hives and need immediate attention. Call 911 and, if possible, give your child a shot from an EpiPen or a dose of an antihistamine like Benadryl in the meantime. For less severe reactions, call your doctor and ask about giving an antihistamine to quell symptoms. These emergency situations must be addressed by a doctor — so head to the nearest medical facility. Falls are generally not problematic in kids older than 6 months if they only fall the distance of their height and don’t land on anything hard or sharp. 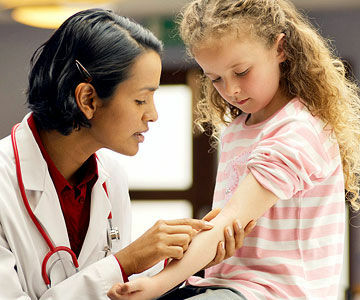 These are signs that your child needs medical attention (and perhaps stitches, skin glue, a butterfly bandage, or staples). Depending on the severity of the injury, your next step should be to either call 911, go to the E.R., or call your pediatrician. You should also always see your doctor if an animal bites your child or if another child bites your child and breaks the skin.